1. Aba women riot of 1929 is a result of ___. 2. Nigeria's Fourth Republic commenced_____. 3. Which of the following contributed to the Nationalist struggle in Nigeria ? 5. Nigeria was suspended from the Commonwealth in ___. 6. UNESCO is a body under ___. 7. The Chief of Defence Staff is ______. B. Air Chief Marshal Oluseyi Petinrin. D. Rear Admiral Ogohi Ogohi. 8. The current Nigerian Constitution was promulgated in_____. 9. The Speaker of the House of Representatives is ______. 11. 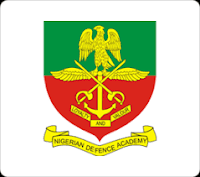 The overall military I-lead or am Nigerian Defence Academy is referred to as ___. 12. In a Parliamentary system of government, the _____ is the Head of Government. 13. The Judicial arm of government______ in case there is a crisis ___. 14. The military coups in Nigeria with the intention of balkanizing the country Naija-led by ___. 15. Which of the following is not associated with Structural Adjustment Programme? 16. The Civilian President in Nigeria is to Serve for ____ years. 20. Who was Nigeria's first elected civilian President? 21. Which of these statements is CORRECT about Proportional Representation. D. The benefit the few. 23. A nation-state is synonymous with a ___. A. There is elected head of State who exercises actual executive powers. B. The head of State is not the Chief executive. C. The executive functions are the responsibility of the members of a cabinet. D. All members of the cabinet must also be members of the legislature. 28. Which of the following does not define a constitution? 29. The concept of sovereignty can best be defined as the ___. 30. The major distinguishing factor between a political party and a pressure group is that while the former ___. 32. Public opinion helps a government to ___. 33. The type of government in which an individual wields absolute power is called ___. 34. A distinctive feature of the presidential system of government is the ___. 35. Individual, as opposed to collective responsibility, is a basic feature of the ___. 36. A right enjoyed by citizens but denied non-citizens is the right to ___. 37. In a federal system, the essence of specifying the constitutional relationship between the centre and the constituent units is to___. C. one among many parties that always wins elections.